I’m not sure what else to call this recipe, other than “Tomato Jam Magic”. I know you’re going to read through the ingredients and think, “What?!?! Lime juice and cloves? No way that goes together…” Trust me on this one. 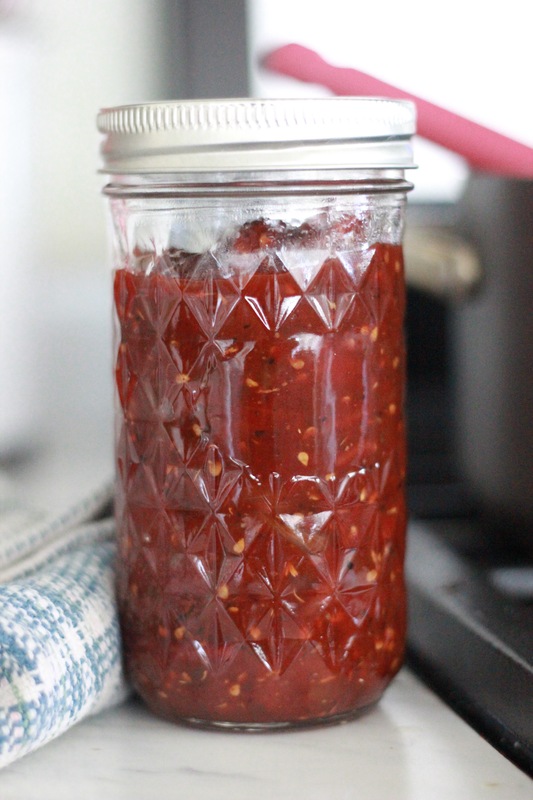 This jam is a warm, amazing, flavor explosion that’ll shake up your grilled cheese sandwich, be THE gourmet dip at your next dinner party, or be the new pizza red sauce ALL your neighbors will beg you for again and again. 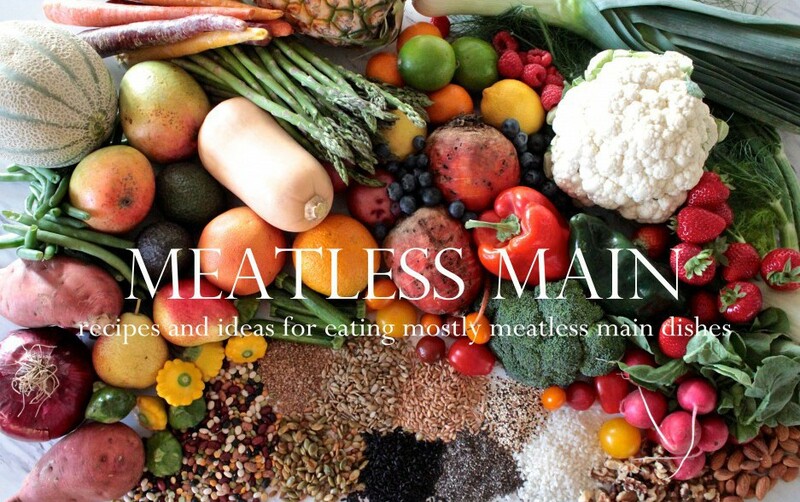 All you have to do is throw everything in your pot and let it simmer–Who knew gourmet would be so easy to make?! Let it simmer and cook down until most of the liquid is cooked off and your spoon runs through the jam and it stays separated. This will last in your fridge for a while, or you can can it following the traditional canning method and share as Christmas gifts. 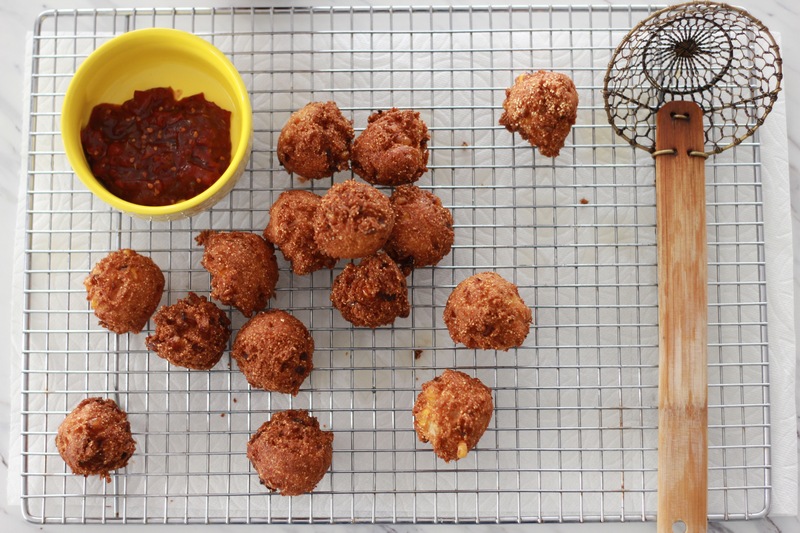 I made cornmeal hush puppies and use the tomato jam as a dip…Some Sort of Carb + Dip is seriously the best dinner on the planet. Combine all ingredients in a large pot. Bring to a boil over high heat then reduce heat to low. 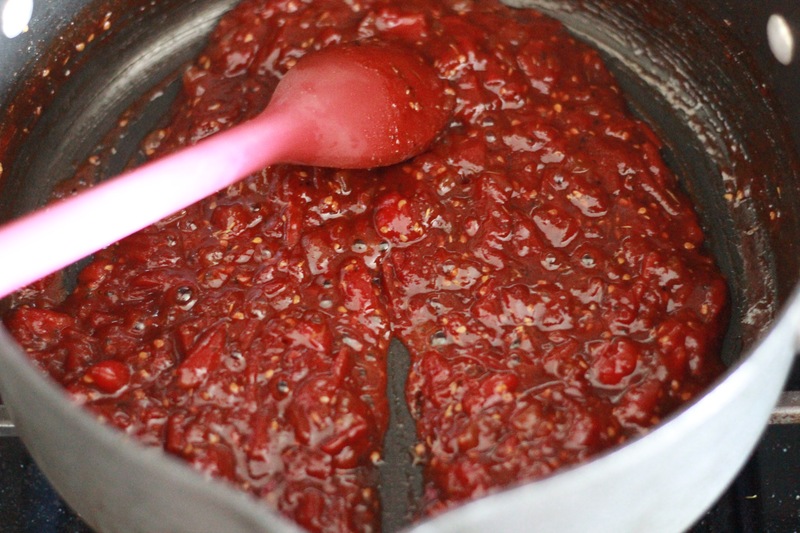 Let the jam simmer for 30-45 minutes, taking care to stir very frequently. 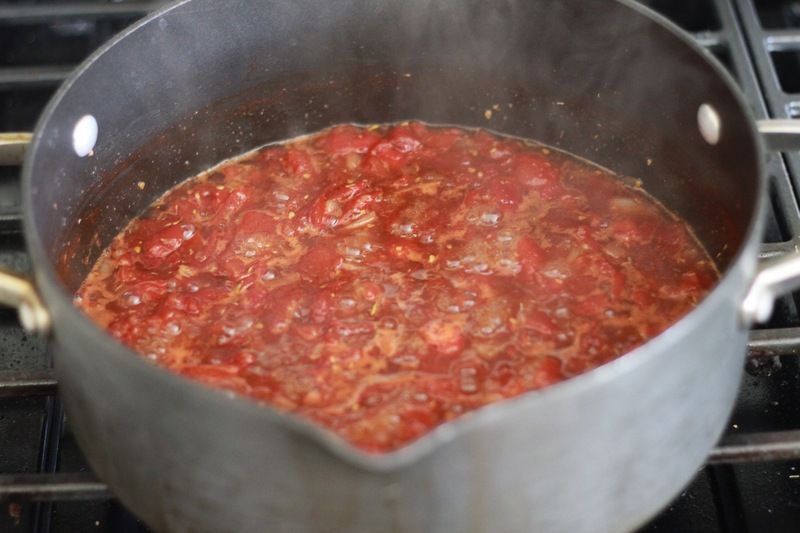 The liquid will evaporate while simmering, and the jam will reduce to a sticky, globby jam. 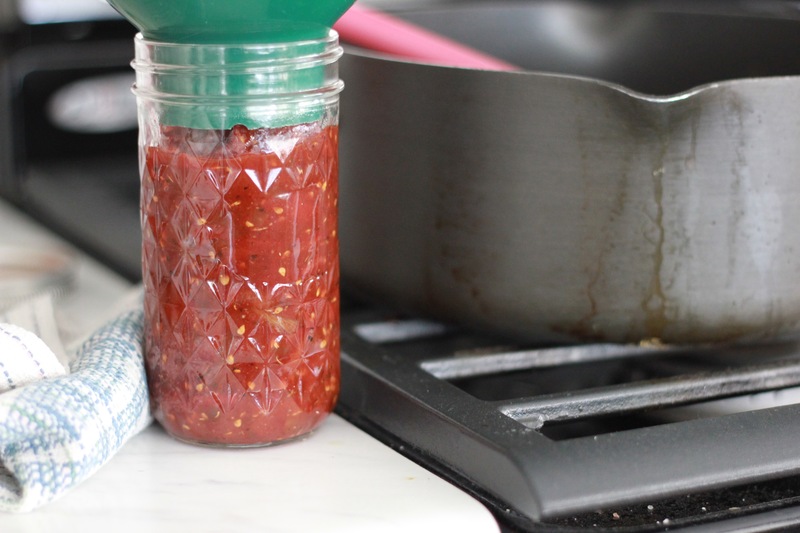 You’ll know it’s done when it’s glossy, not runny/watery, and when you run your spoon across the bottom of the pot, the jam will separate and won’t come back together. Be sure to stir more frequently toward the end, as it’ll get stickier and more likely to burn. *You can spoon into a pint jar to keep in your fridge for up to 4 months, or can according to traditional canning methods to preserve longer. 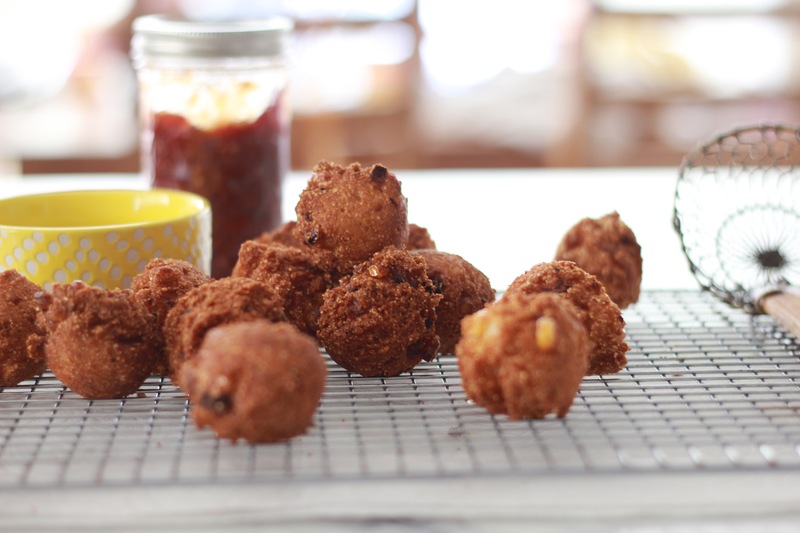 I used the hush puppies recipe directly from the Hodgson Mill Brand Cornmeal, with the only change being adding 1 cup fresh corn kernels. 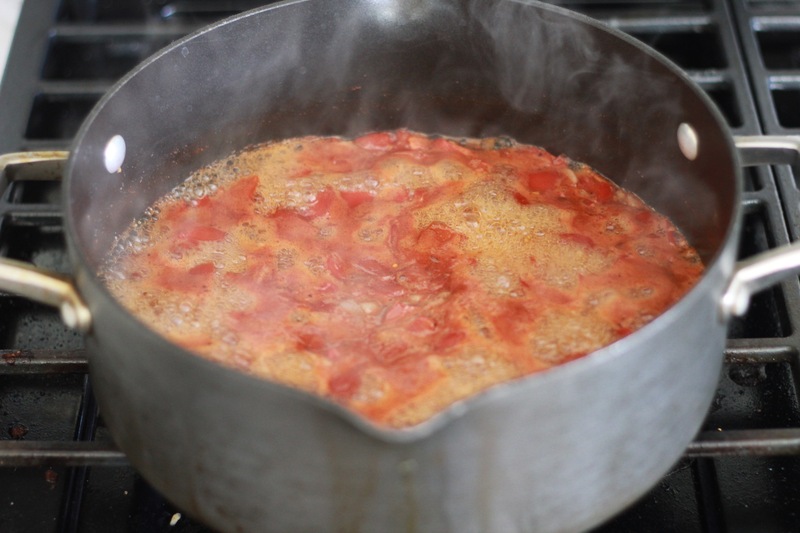 Fill a large stockpot with 3-4 inches oil and preheat to 375F. 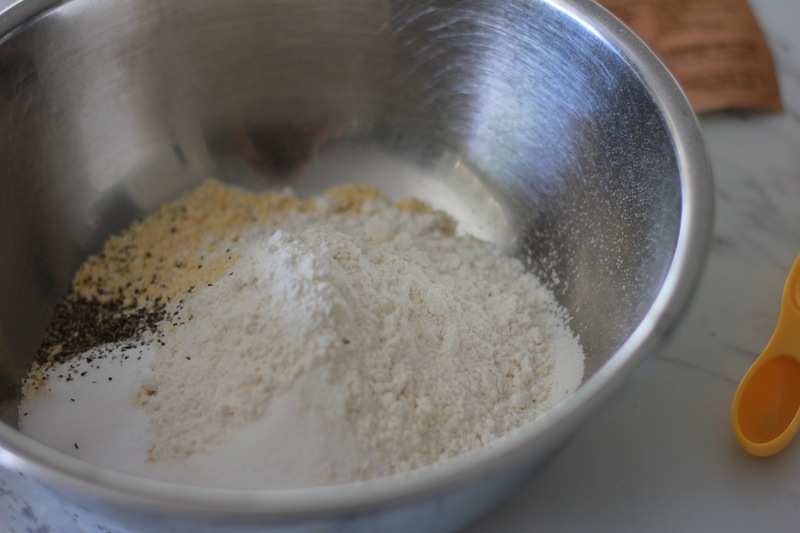 Combine dry ingredients in a medium size mixing bowl. Blend well. 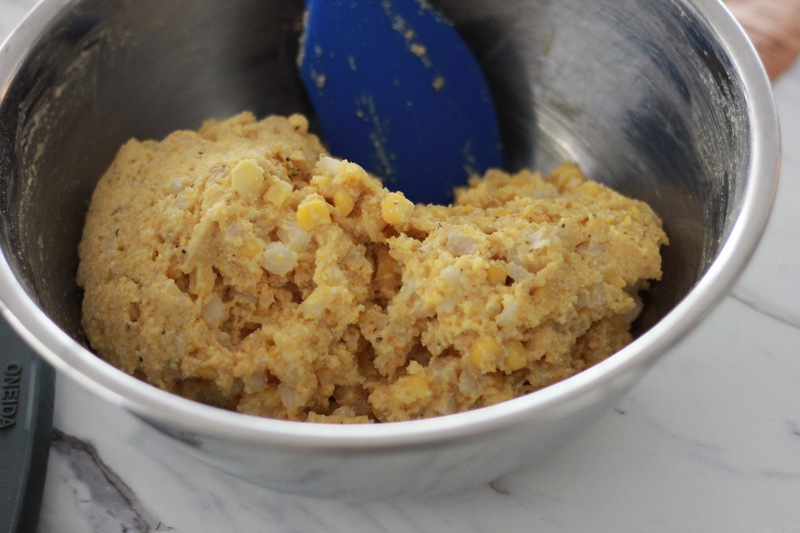 Add onions, corn, egg, water, and buttermilk in another mixing bowl. Add the wet ingredients to the dry ingredients and stir just until moistened. Let dough sit for 5 minutes before using. Drop by rounded teaspoons (I use a #40 cookie scoop, which is about 3 teaspoons, so a bit larger) into the hot oil and fry until dark golden brown, turning frequently (approximately 2 minutes for 1 teaspoons scoop, 3-4 minutes for the #40 scoop). Let drain on a cooling rack. 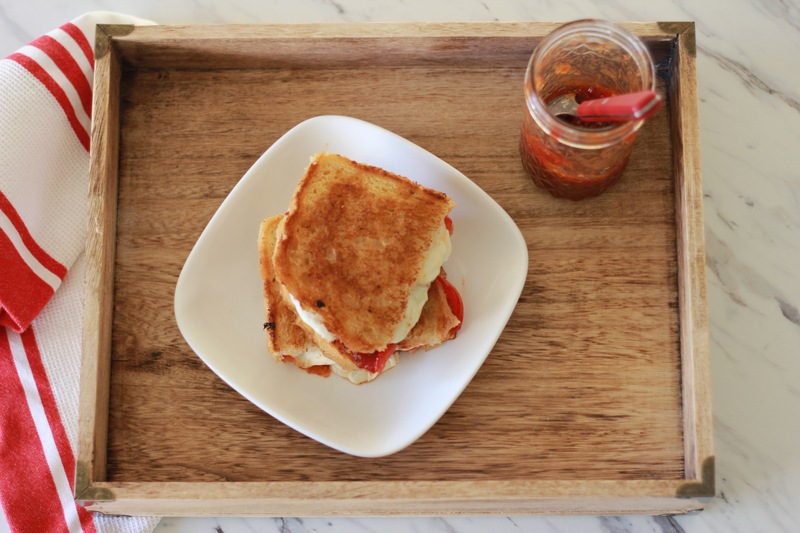 Serve warm with Tomato Jam Magic.